Trails are open and in good condition. Be aware of soft spots in low points or north aspects, and avoid using muddy trails to prevent unnecessary damage during spring rain events. 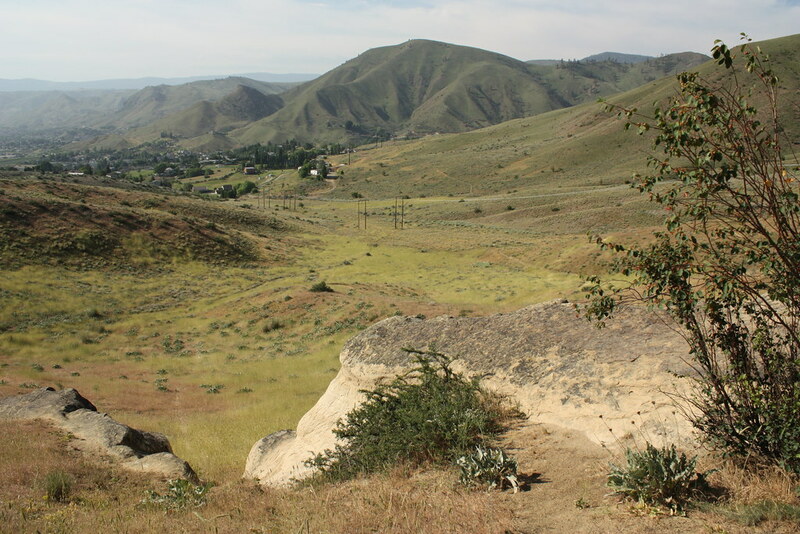 Hikers, runners, and bikers in the Wenatchee Valley have long known that the foothills provide amazing recreation and scenery. But in 2001, development threatened access to this local resource. The Chelan-Douglas Land Trust responded with the Save the Sage campaign, rallying local support to preserve this community asset. The response was overwhelming—more than $60,000 raised in six weeks to protect 35 acres in the foothills. The Save the Sage campaign spurred a larger public discussion of the need to conserve the foothills that the community valued, but tended to take for granted. Through foresight and action, Wenatchee now has a growing network of protected lands and a magnificent trail system. The main Sage Hills Trail is a great multi-purpose route through the foothills. The trail travels through Land Trust, PUD, and private property. Please observe all posted signs to keep the access open to this special place.